Welcome to Spanish & Technology! 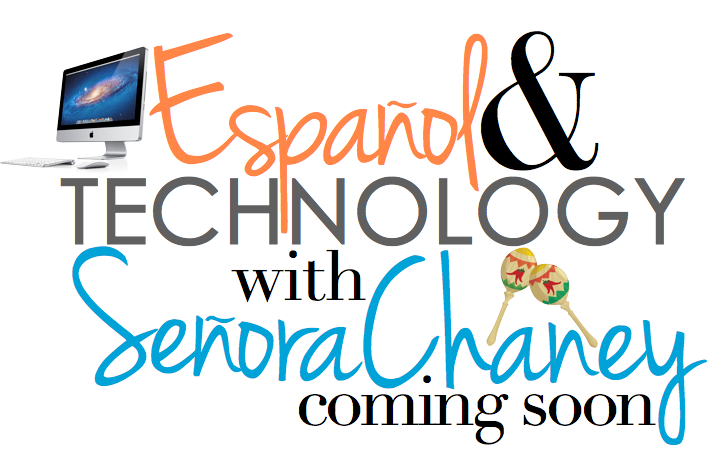 Welcome to our K-2 Spanish & Technology world! Here you will find periodic updates on our blog page of what we are doing in class in addition to resources to continue Spanish & Technology learning at home. If you are a parent seeking access to the blog page, please contact Mrs. Chaney for the username and password. The Spanish, Technology and iPad pages all contain resources for families & teachers. Enjoy your visit, come back soon! Examine your area and clean up after yourself. Give your best effort always. Listen when Mrs. Chaney is talking. Sanitize hands before using iPads or the iMacs. The Specials team teaches all the students in the school and can sometimes run out of things that we need to keep our classrooms clean and germ-free. If you would like to donate we would gladly accept the following items. Please, don't feel pressured to donate everything, just one of the items is WONDERFUL! Thank you, we are so appreciative!